In today’s world of information overload, the average person’s attention flits between one website to another within the span of a just a few minutes. In order to overcome this modern challenge, effective web designing has become a matter of simplification and streamlining. The form of web design New Jersey businesses have been looking for is the new style that focuses on the user’s experience on the website as the main priority. While aesthetics and creativity are still keep to quality web design in New Jersey and elsewhere, there is now a new age of designing that is characterized by simplicity and ease of use. A large part of retaining the attention of the users is allowing them to understand how to use your website – and this is something that they must be able to do quickly or they will simply leave. If they cannot follow the structure and organization of your site, your visitors will quickly enter a state of confusion and frustration – not exactly where you want your potential client. On the other hand, if you focus on keeping your website easy to use (perhaps by using clearly marked navigation, visual leads or strategic in-text links), not only will the visitors stay longer on your site, but they will also be more ready to listen to what you have to say. Navigating a company’s website, or any website for that matter, should not take much thought and should be for the most part, intuitive. Keep this in mind and you already have an edge on many other companies. Your average site user is constantly surrounded by a world of almost infinite advertisements and endless information. To combat this overload, a short homepage that doesn’t require much scrolling or a short & sweet article on your website can be almost be refreshing. By only saying what is absolutely necessary and organizing your website in a simple and understandable manner, you show your users that you care about them and value their limited time. One easy way to do this is to utilize the whitespace of your website. Many websites fill any spot of empty space with an ad or unnecessary image, but by simply leaving that area blank you actually emphasize the main message that your website is trying to communicate. Of course, in order to simplify effectively, you do have to first know what that message is. Conduct a brainstorming session with your marketing team and discuss the key value propositions that you have to offer so you can prioritize the messaging on your site. Web design has truly become all about the user and his/her time (which, you can guarantee, is limited). 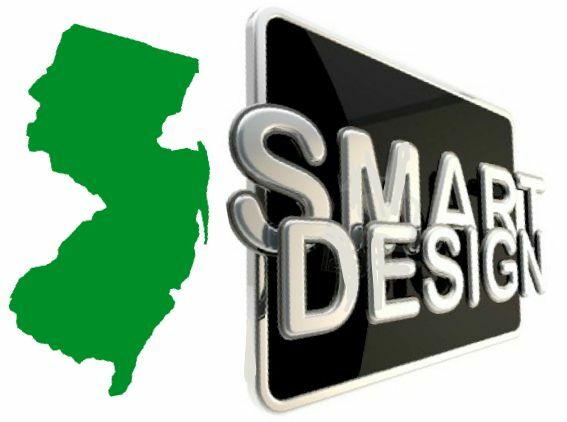 This is not to say that the web design New Jersey businesses have turned to does not also involve aspects of branding and artistic design, but it definitely has transitioned towards a simpler and more down to earth approach. If you’re looking for quality design that will accomplish all of the goals listed above, contact Farotech today. For years, we have been providing clients with cutting-edge design and we can do the same for you. Request a list of our previously designed sites and let us show you why our design capabilities are a cut above the rest! For the Love of Long-Tail Keywords!